The primary focus of the Permafrost research is to develop a model that will allow anyone to predict the depth of the Active Layer—the layer of ground above the permafrost that melts and freezes each year—based on vegetation growing on the tundra's surface, other surface indicators, and environmental factors. 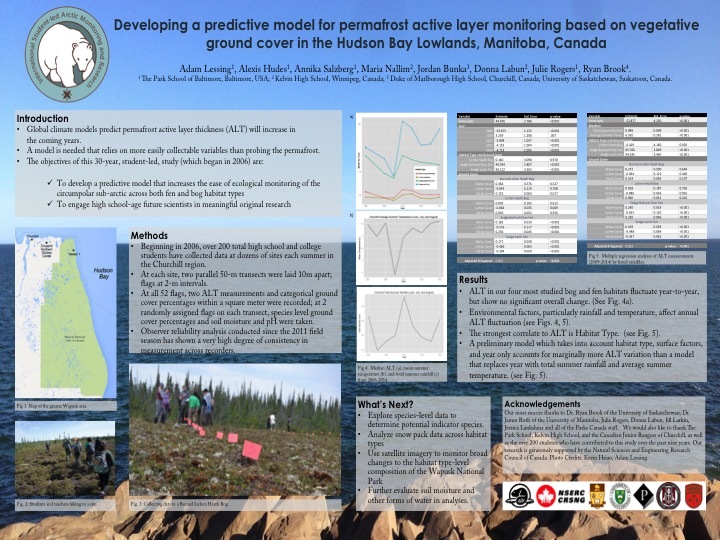 At each site in Churchill and Wapusk, data is collected on categorical vegetation cover, species specific analysis, and Active Layer Thickness (ALT). Data from this study is used as ground controls for remote satellite imaging. 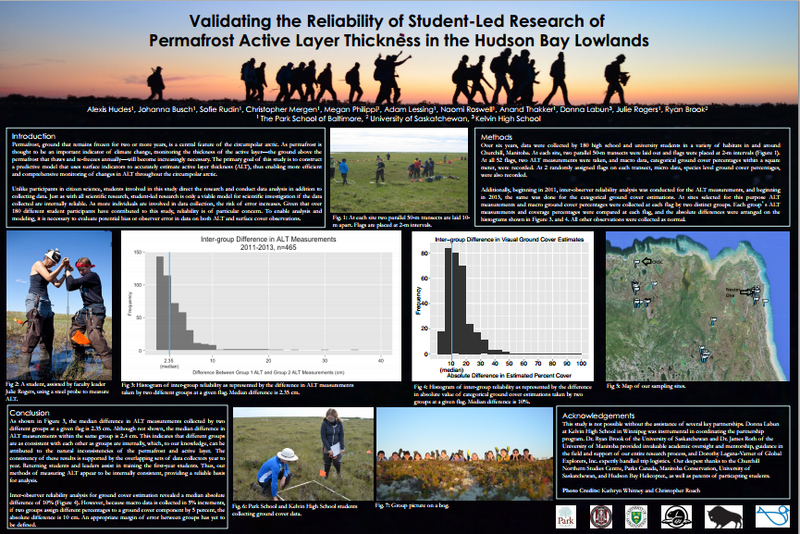 Click through the slideshow below of permafrost posters.